The “Full Frontal” comedian’s rejoinder to her one-time “superhero” guest Eric Schneiderman offered her most powerful segment yet – but underscored the perils of comedy that picks heroes. 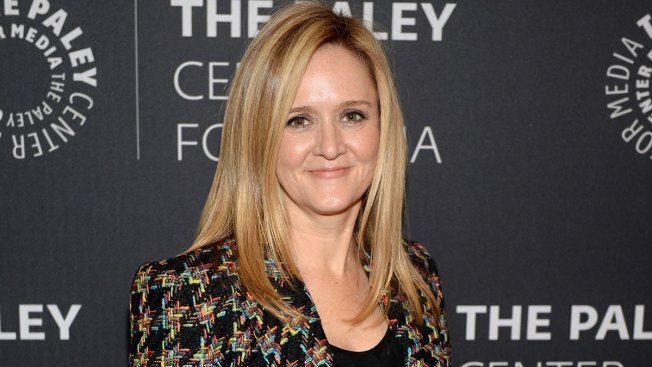 Shortly after the sudden disgrace of New York State Attorney General Eric Schneiderman, the "Full Frontal with Samantha Bee" team rechristened the YouTube clip of his November appearance on the show. "Former AG tricks Sam into thinking he's decent," the title now reads. Bee made new headlines of her own with Wednesday’s show, as she cursed at the Democrat she previously portrayed as a “superhero” fighting against President Trump – and for women: “You are trash and we do not need you." The verbal fusillade, two days after a New Yorker article detailing Schneiderman’s alleged physical and emotional abuse of four women spurred his resignation, offered perhaps Bee’s strongest segment since “Full Frontal” debuted on TBS in early 2016. But the Schneiderman mess underscored the pitfalls facing the likes of Bee and fellow "Daily Show" alum John Oliver – both among the vanguard of comedians who go far beyond traditional late night comedy monologues as they use humor and research to hunt for hope and truth amid turbulent times. Anointing heroes can be a fraught endeavor. Schneiderman was a polarizing political figure, but it’s likely that few on either side of the political aisle saw his shocking downfall coming. Back on the first anniversary of Trump’s election, Bee lauded Schneiderman as a crusader – rolling out comic book-like graphics and a theme song out of the 1960s "Spider-man" TV cartoon series. Bee’s tongue-in-cheek fan-girl gushing ("Are you going to lead us out of the darkness?," "You are fighting the good fight," "You have beautiful brown eyes") worked in the context of the piece (she even tried to get Schneiderman to go into an old-school phone booth, ala Superman). Schneiderman, reports of his alleged behavior suggest, didn’t live up to the credo. Bee, with her powerful rejoinder against hypocrisy Wednesday, did. She hopefully emerges not hardened, but more wary in a world where real heroes can be scarce.